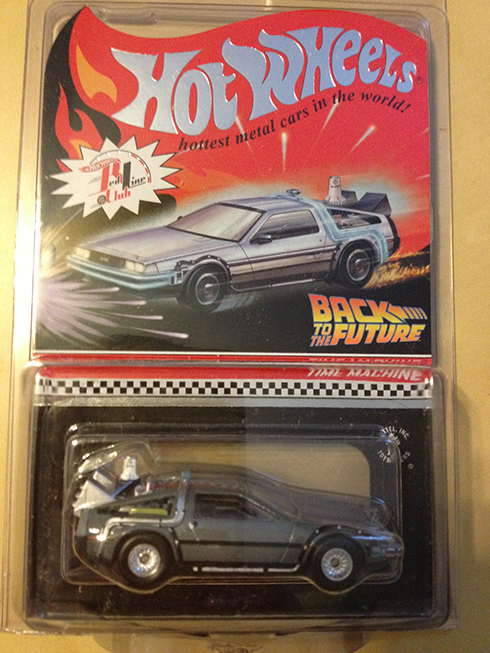 As big of a Back To The Future fan that I am, I found this gem last year and decided to buy two of them. One is still sealed in it’s package. But I wanted to play with one, too. It wasn’t very much (under $2 for each one) and I thought it was worth it, even at twice the price. 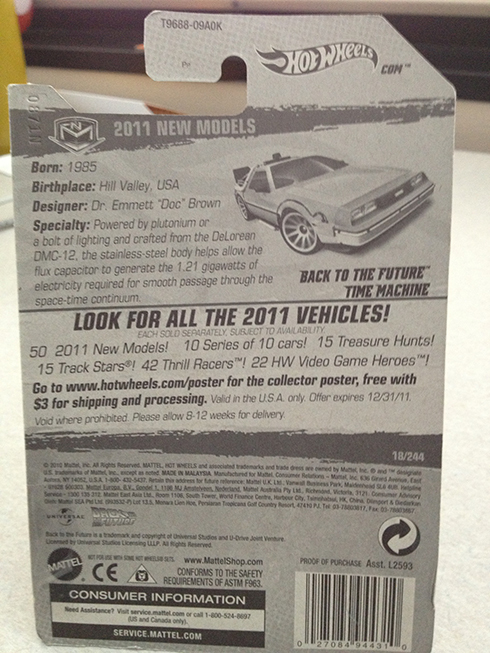 The back of the packaging is very detailed, as most Hot Wheels packages usually are. Released and in the real world, this is quite the detailed car. 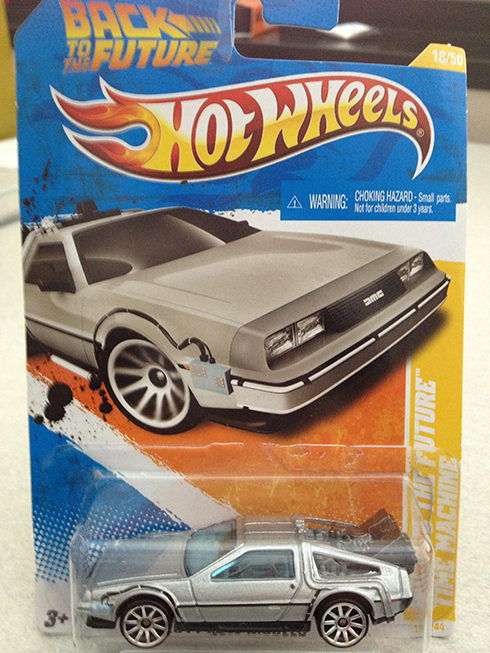 There are no moving parts on this, except the wheels, so no doors or hoods open and no smoke comes out of the rear time machine exhausts. 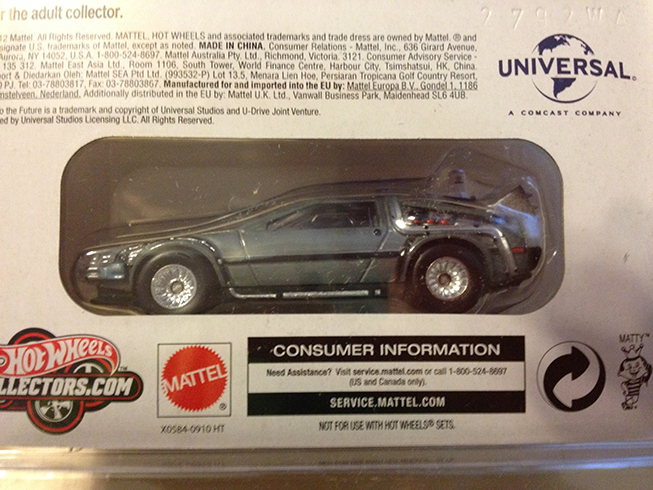 But for the price of this collectable toy, I can’t complain. For the serious collector, I couldn’t resist the above. It was $25, but this baby is not leaving it’s plastic home. Still not offering any opening doors or hoods, that doesn’t matter to me. 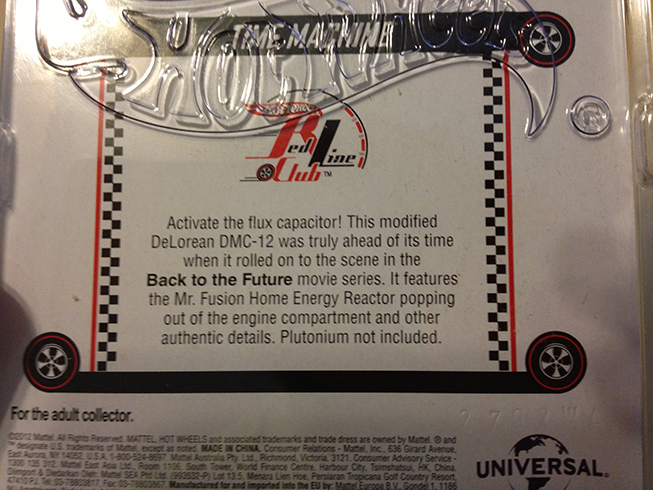 The finer detail in the additional Mr. Fusion, and the nice clear side view that keeps this baby sealed up makes this collector’s item a win for this Marty McFly. I joined what is called the Hot Wheels Red Line Club, which is a fancy way of saying that I am a 40-something adult that collects small cars, like the ones I used to play with when I was a kid. Only nicer. And unplayable. The detail in this packaging is perfect for a collector. 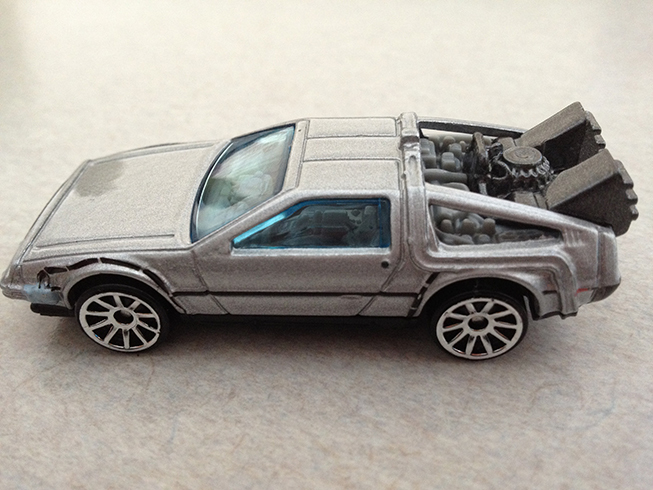 While I only have a couple other collectors type cars, this is one that I was waiting for. And I did wait… a good 10 months before I got it. 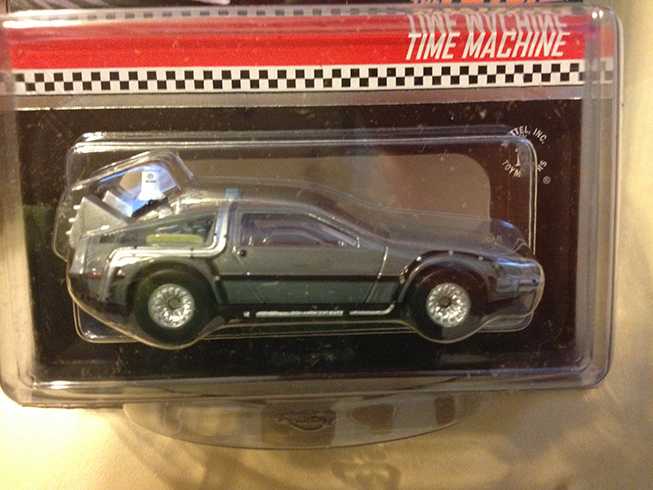 I wish I would have bought two so I could play with one, putting it next to the regular Hot Wheels scale DeLorean. Good thing you don’t live near me then. As I said above, I should have bought two so I could play with one of them. Actually, I had opened that package already. I have another sealed in it’s package, but it’s facing the correct way. No $1000 for me.